This will be a quick update on the wedding. It was marvelous! The weather was great, the food was super, and the bride was stunning! (not that I am prejudice). I got to do my speech at the reception and only choked up one time! I took this one photo with my camera phone of the place she stood (attached below). I will add more photos after I get them loaded on the computer, but just wanted to thank everyone for all the good wishes! Cali, Thanks so much. Nina picked out the alter and the flowers that were decorating it. She will be excited to hear you liked them. Hi Queenie, thanks. It was a special day indeed. More pictures to come! Hi Cat, I cannot wait to share more with y'all. Hope you have a great day! Hi George, I'm so thrilled the day went so well. The location is simply beautiful. Thank you so much for sharing this special day and the pic with us. This really made me smile. Hi ,Roz, Thank you. Yes the day went very well and it was special. We anxiously await the pictures! I am surprised you could hold the camera still, my wonderfully emotional friend! I can't wait for more! Hi Willie, Oh how you do know me well! But I did Ok...better than my daughter thought I would! 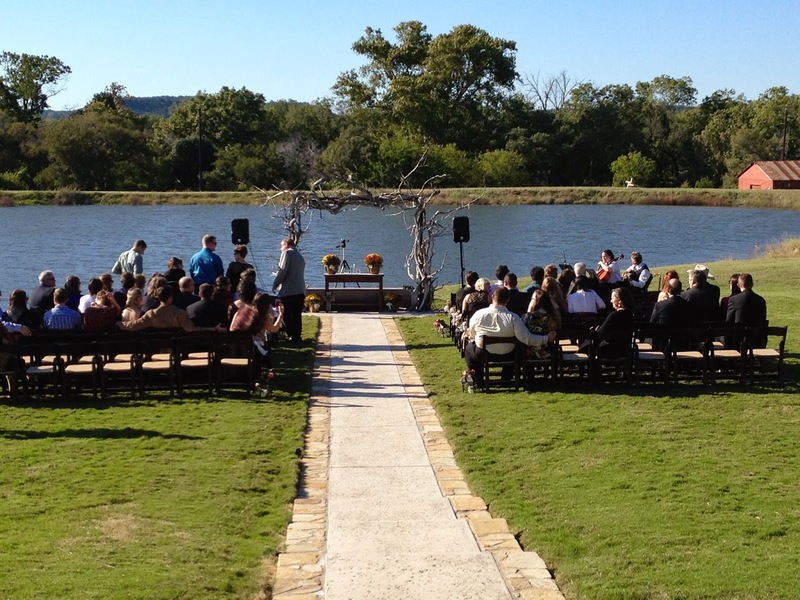 A small beautiful, outdoor wedding, I love that. :) So admit it, how many tears were shed by you? ;) I am glad that you had such a beautiful day and that your daughter was so blessed to have so much of your love with her that day. Hi Es May. You know, I actually did really good at the ceremony and only once had to stop talking during the reception speech. I did almost lose it when I saw how stunningly beautiful Nina looked and told her how enchanting she was. But all in all I did ok.....until the following day when I was driving by myself, and it hit me! I admit that I shed some tears on that drive. I am extraordinarily happy for my daughter, but life goes on and now she is a part of a couple. I will just have to get used to the change and look forward to becoming a grandpa. La vida es muy bueno!